IBM is moving swiftly to implement multicloud capabilities across both our IBM Spectrum Storage and IBM Spectrum Computing portfolios. In an important step for our high-performance computing (HPC) solutions, today we’re announcing the release of a deployment guide that facilitates the use of IBM Spectrum LSF Suite with Amazon Web Services (AWS). 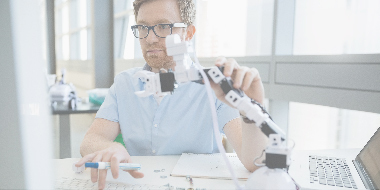 IBM Spectrum LSF Suite is a comprehensive set of solutions supporting traditional HPC and high-throughput environments, as well as big data, artificial intelligence (AI), GPU, machine learning, and containerized workloads among many others. IBM Spectrum LSF, the core of the Suite, is a workload and resource management platform for demanding, distributed HPC environments. It provides a comprehensive set of intelligent, policy-driven scheduling features that help maximize utilization of compute infrastructure resources while optimizing application performance. 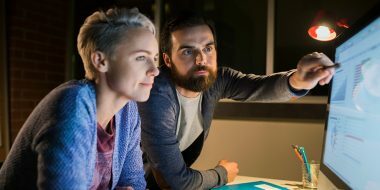 IBM Spectrum LSF Suite comes in three editions and includes additional capabilities such as LSF resource connector, which enables policy-driven cloud bursting to all major cloud services, including IBM Cloud, AWS, Google and Azure. The newly released deployment guide builds on an existing relationship with AWS. IBM is providing expertise, services, and management capabilities that will give IBM Spectrum LSF customers fast, flexible access to AWS offerings. The new deployment guide helps users build a wide range of customizable IBM Spectrum LSF cluster configurations that can enable users to take advantage of cloud computing. In particular, HPC environments can leverage the cloud during times of peak activity. To accommodate spikes in demand, traditional HPC environments often divide up jobs and stretch out scheduling–but this can lengthen time to insight. IBM Spectrum LSF solutions can help address this challenge by enabling dynamic access to cloud resources. Two of the most common IBM Spectrum LSF cluster solutions are the LSF Stretch Cluster and the LSF Multi Cluster configurations. In the LSF Stretch Cluster architecture, the master scheduler and other core functionality remain with the on-premises IBM Spectrum LSF cluster, but the cluster resources can be dynamically “stretched” over a WAN to include cloud resources. The Multi Cluster configuration, on the other hand, essentially creates two clusters, one on premises and one in the cloud. This architecture can simplify communication and coordination between the on-premises and cloud-based clusters. Both configurations offer certain advantages and trade-offs, and both configurations are covered in detail by the new deployment guide. With the release of the new LSF cloud deployment guide, enterprises and HPC facilities can more easily build the IBM Spectrum LSF cluster architectures that are best for them. Then they can leverage the power of IBM Spectrum Scale–the high-performance data management member of the IBM Spectrum Storage family–to enable the storage portion of the overall solution. The multicloud reach of IBM Spectrum Scale includes Spectrum Scale on AWS, available on AWS Marketplace. Currently available as a Bring Your Own License offering, the service is targeted at IBM customers who want to gain access to the elasticity of AWS for their high-performance computing workloads, allowing deployment of highly available, scalable cluster file systems on AWS. IBM provides a Cloud Formation script that deploys IBM Spectrum Scale across a cluster of AWS virtual server instances. Release of the new LSF cloud deployment guide marks yet another milestone in the ongoing expansion of IBM Spectrum LSF multicloud capabilities, but it’s not the only important news for IBM customers. IBM is also announcing variable use licensing for IBM Spectrum LSF. This new “bite-sized” licensing will allow users to purchase licenses for IBM Spectrum LSF in blocks of CPU “core hours.” One block equals 1000 core hours. The new licensing will make IBM Spectrum LSF even easier and more flexible to deploy. IBM Spectrum LSF users will be able to run the solution almost anywhere and pay only for what they use rather than predicting and hoping. Across the entire IBM Spectrum Computing portfolio, plenty of innovation is occurring, with plenty more on the roadmap. 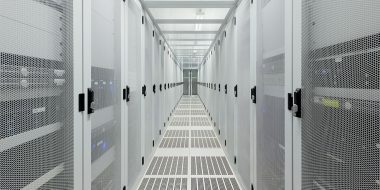 As enterprises and HPC facilities search for new cloud usage paradigms, they will likely look to intelligent solutions that leverage multicloud architectures and make them easier and less complex to adopt. Visit IBM next week at SC18 (booth #3433) in Dallas, TX to learn about HPC and AI solutions from IBM Spectrum Computing and IBM Spectrum Storage. Register here for technical briefings and user group sessions. Read more about dynamic hybrid cloud with IBM Spectrum LSF in Making Clouds Fly on HPCWire.